I’m not saying that being the middle child is the worst. But, compared to the oldest and youngest child roles, being the middle child is the worst. Here’s why. The oldest-born gets to do everything first: watch PG13 movies, stay out past 9, purchase a lottery ticket. This kid always gets to be in charge when the parents are gone. Even if he’s only the second most responsible of the three children. Anything he does receives special attention because he’s the first to do it. He’s a trailblazer: a hero of sorts. And if he happens to be an actual genius, he sets the bar for the other two. Yes, he sets that excessively high bar, making it absolutely unreachable. These lofty standards provide some relief though, as no one would expect anyone to surpass, nay, meet that bar. Less pressure. Being the baby of the family is even better than being the oldest because not only do you have fewer responsibilities, you actually have no responsibilities. You are literally a prince. You will never face adversity in your life. The youngest kid can turn in lackluster projects at the very last minute (or not at all) and still receive a higher grade than his sister. Hypothetically of course. Being the youngest also means that when you do something – anything – the whole family pays a lot of attention because you’re the last one to do it. The other two have already done it (we’re aware because we all watched the oldest), but you’re the LAST of the bunch. My parents claim that they love us all equally. The other day we asked them who their favorite kid is and they both said Jake so I’m not sure I believe this claim. But who can blame them? Jake is very tall , Sterling is a reincarnated Aristotle and I am Jan Brady. But don’t feel too sorry for me – unless you want to send me pity cookies or something that’s fine go right ahead. Being the only girl has its perks. I’ve never had to share a bathroom, no one steals my shoes (except that one time when Jake was going through a phase) and I don’t have to compete with anyone for my title of The Princess (still waiting on my crown though). But still, being the middle child is like a being in a constant state of transition. It starts to mess with your mind. For example, Britney Spears and Kim Kardashian are both middle children. I won’t expand on that. Just draw your own conclusions. On the other hand, Bill Gates and Jennifer Lopez are middle children too, so at least I’ve got that going for me. But Liam Hemsworth is the baby of his family. 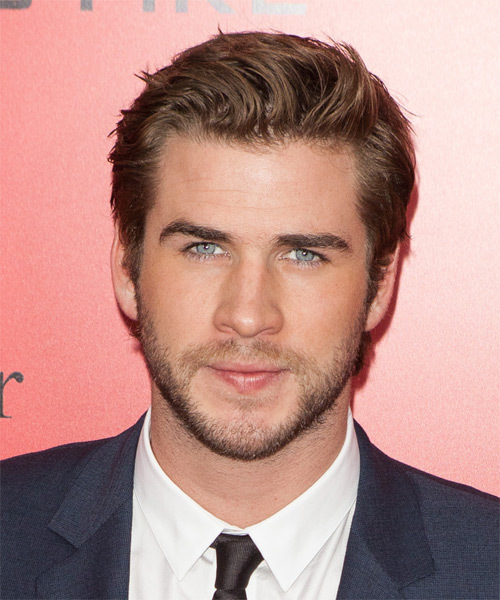 Here’s a picture of Liam Hemsworth. …what was I saying? Oh right, I love my family.